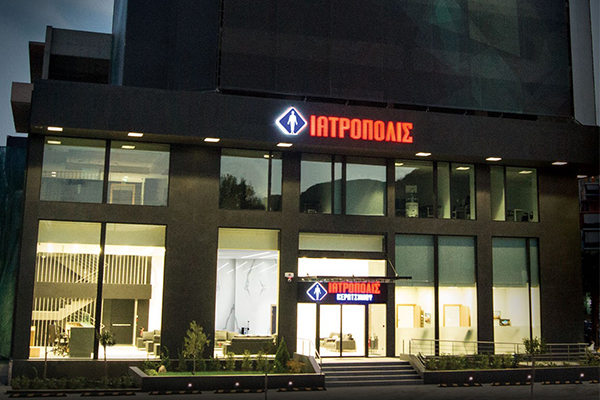 The new medical diagnostic center of IATROPOLIS SA at Keratsini / Greece is now under full operation. With this 9m€ investment IATROPOLIS group expands its activities in the primary care market. The center stretches over three floors, with total area of 1200m², and is staffed by a total of 60 doctors and skilled health workers. The unit has the ability to perform diagnostic tests on at least 600 patients per day and has systems for full visual and laboratory testing. Renewable | Kravvaritis & Partners | Consulting Engineers, were responsible for the MEP final and detailed design & construction supervision.